This from scratch homemade lemon meringue pie recipe is much easier than you would think. Lemon pie is so refreshing. It is light enough to be served after a heavier meal and not too sweet. In a saucepan, stir together the sugar, cornstarch, salt and water. Cook on medium heat until the mixture comes to a boil and bubbles, stirring often. Cook for 3 more minutes, stirring continuously. Turn the heat off. Whisk the yolks in a separate bowl. Whisk in 1/2 cup of the hot mixture bit by bit, then whisk the yolk mixture into the saucepan. Let the filling return to a gentle boil and cook for 3 more minutes, stirring continuously. Turn off the heat. Add the lemon zest, lemon juice and the butter. Stir until it is smooth and let cool slightly. Pour the cooled lemon mixture into a baked pie or tart shell and chill until set. Whip 2 egg whites and add sugar to taste part way through. Whites should be at room temperature to whip. Whip until firm peaks form when you pull out a spoon. Spoon over lemon pie. Bake at 350 degrees until the top is browned. Watch carefully so it doesn't burn. A straight sided tart shell looks beautiful for this. Decorate with fresh raspberries or raspberries and thin slices of lemon. You can also fill individual tart shells with this luscious lemon filling. The filling is also referred to as lemon curd and looks beautiful in a straight sided crust garnished with fresh berries for a fresh lemon tart recipe. Making your own lemon pie filling is a great idea. Things that are often packaged are so much healthier when we make them from scratch. You know exactly what is in it AND what is not – like fillers and preservatives. Let’s start taking a bit more time and making things from scratch. That’s my commitment to myself. Homemade is SO much better tasting. And better for us. This is definitely one of my favorite dessert recipes. If you like it too, I’d love you to Pin it to Pinterest, Tweet about it, Like it on Facebook and leave a comment and your own recipes below. Find out why the lemons in this lemon meringue pie recipe are so good for you. This recipe looks great, but I’m not sure how many egg whites to use. The ingredients include egg yolks, but I don’t see whites listed. Thanks! You don’t use any egg whites in the filling. Use the whites for the meringue topping. 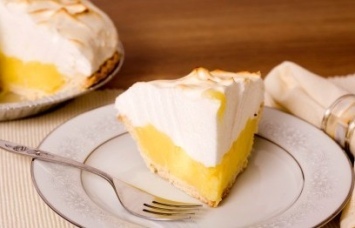 The recipe looks great but I am not sure how long to let the lemon set before adding the meringue, Is it a couple of hours or does it need to sit over night? Just wait an hour or so until it cools completely. There is no need to let it sit overnight. When you leave the filling in the shell put saran wrap on top so water droplets don’t form. If they do form then the meringue won’t stay on. Head Chef @ 90 Waller St.
Best home made lemon pie there is, but go a little lighter on the lemon juice to match the boxed one.